with Florida native fishing guide Capt. Brett Norris. Tampa Bay has a wide variety of flats fishing opportunities. Come catch the "Inshore Slam" - redfish, snook, & trout. Come catch the "Silver King" in Tampa Bay this summer! Capt. Brett specializes in Tarpon fishing from May through August. Whether you want to target tailing redfish on the flats, lunker snook on dock lights, tarpon on the beach, goliaths and permit on the wrecks, or even trolling for monster kingfish in the bluewater… Captain Brett and his team of experienced guides will make your fishing dreams come to reality. As a professional fishing guide service, Rock Bottom strives to not only provide you with a fun day on the water, but also help teach all levels of fisherman techniques that will make you a better fisherman by sunset. 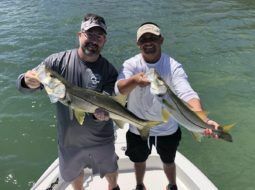 Tampa Bay is home to some of the most exciting and diverse shallow water fishing in all of Florida – redfish, trout, snook, sheephead, founder, cobia, and more! You don’t have to run far offshore in the Tampa Bay area to get into some big, great-eating, monsters! We target mangrove snapper, grouper, cobia, mackerel, hogfish, and more! We specialize in setting up medium to large group charters for corporate events. So, whether you have 10 people or 300 people, we can take care of everything for your on-the-water even — including the guides, the food, the location, transportation, and more. Tarpon fishing is the most exciting and memorable fishing trip you can take here in the Tampa Bay area. Come get your 100lb “Silver King” with an experienced tarpon fishing guide. The fish are feeding in Tampa Bay! My first tarpon charter! Awesome day and we caught some big fish! Thanks again! Best charters in the Bay! This guy really knows what he's doing. Always have a great time on Rock Bottom Charters with Captain Brett! Come Experience Some Exciting Tampa Bay Fishing! Leave all your work and troubles at the dock and enjoy a day on the water with Capt. 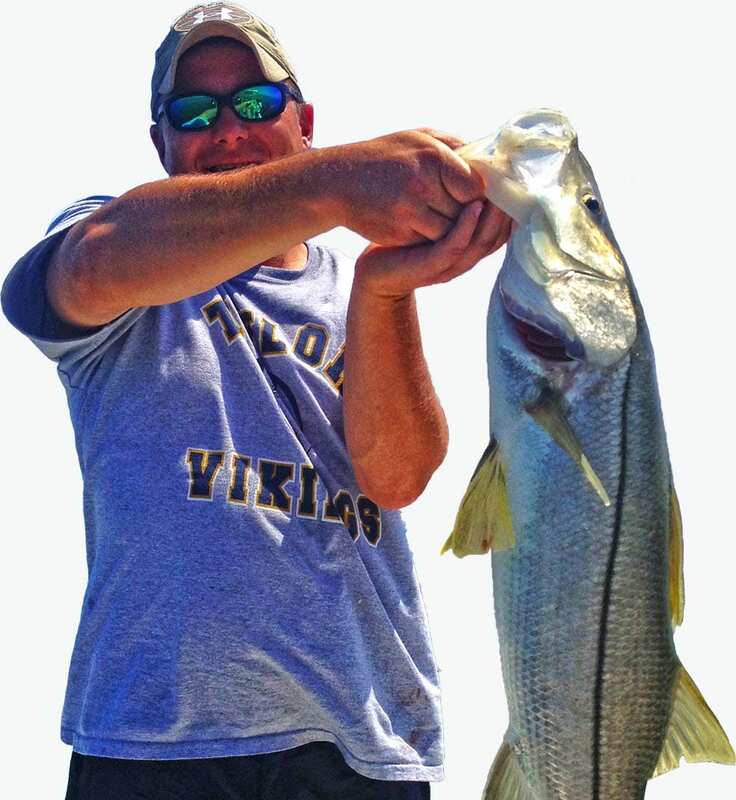 Brett as you target snook, redfish, trout, tarpon, & more! Book Your Tampa Bay Fishing Adventure!